Susan, as you know you inspire me in so many ways! You are so right about things coming to you at the right time. Watching the movie Fast Women came to me at the right time and I knew I had to some how find YOU! You inspired me then and haven’t stopped since. You are such a blessing to this world and thank you for always sharing your wisdom. Congratulations to you, John, and SDP! What an amazing group of women who WILL reach their goals. I look forward to following this group! GO GET IT LADIES!! Cheers to P&G!!!!! Smart company! 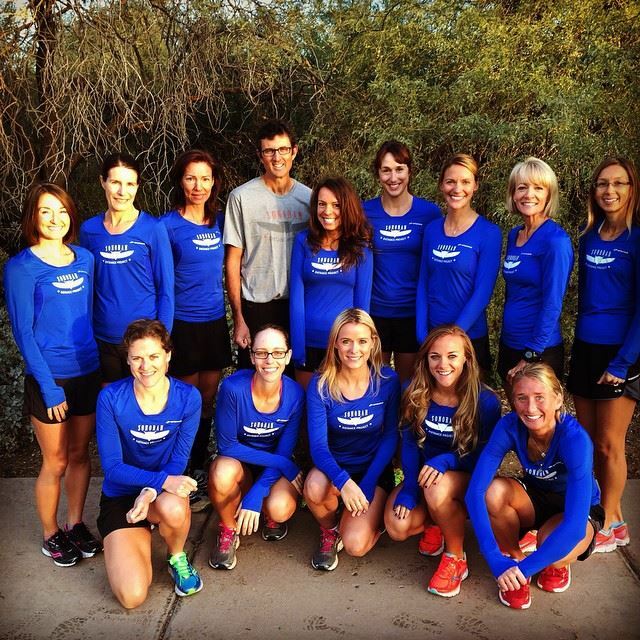 You have such great incites: “I like the runner I AM, not the runner I could have been.” So proud to be teammates!!! Congrats, Susan! At 51, I too joined an elite running team (SRA Elite). Though I sort of feel like “Team Mom”, I still feel like I can run and compete with the top runners in the area and beyond. I hope to run the best I can, for as long as I can, and this team will help. Thanks for sharing your dreams and goals. You continue to inspire on so many levels. That is amazing news Susan. So proud of you and all the SDP runners.